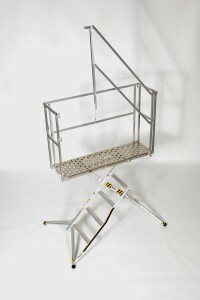 Mod Cage Handrail for 28" or 36"
This is the cage handrail for the 28″ or 36″ models. This handrail comes free and standard on the 36″ models. It is 42″ tall and is modular. You can pop off any of the 4 handrails that you choose.